Make your birthday special. Make your wife’s birthday special. 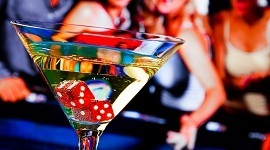 Reach out to Exclusive Casino Hire to turn on the lights for the birthday celebrations. 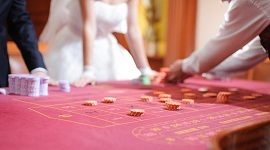 Our expert croupiers will give the birthday celebrant and the birthday guests a truly memorable birthday evening of fun, games, songs and lively conversation. 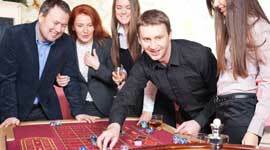 Every guest will be engaged in the happenings around the roulette tables and the gaming tables. 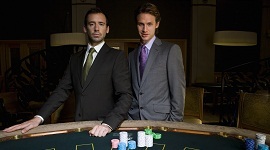 Our croupiers are versatile entertainers and will have all the guests listening with rapt attention while the rules of the game are spelt out, participating with elan, whooping with excitement when they win, smiling patiently when the dice doesn’t roll kindly knowing that there will be another roll coming, rekindling old friendships and initiating brand new relationships. Watch how our croupiers and the event manager, working as a team, persuade even the reserved birthday guests to participate whole heartedly in the fun and the frolic. Watch how even the middle aged and elderly birthday guests play with child like enthusiasm. That’s the magic which our personnel will bring to your birthday party. Book Exclusive Casino Hire for your Birthday celebration by calling us directly on 07957 283 809 or e-mail us via our contact enquiry form and we will get in touch with you to understand your plans and your ideas and will help you to make them a reality. All this with inputs from our professionally qualified and experienced team who are delighted in making people smile. Birthdays are synonymous with the reaching of milestones. We suggest ideas which could be the pivot around which your birthday party theme could revolve. 60th Birthday – The Diamond Jubilee Year. Are those really my grandchildren standing around?. Let’s give them the time of their lives. Let’s celebrate with the spirit of a child. The race is not always to the swiftest, nor is the battle always to the strongest but that’s the way to bet. If you must play, decide upon three things at the start – the rules of the game, the stakes and the quitting time. Click here to download our pdf brochure.